There are a lot of things to see and do in Sydney. Some of these attractions are free. A few of them are near Sydney’s Central Business District and the harbour, while others are scattered throughout its vast landscape. Travelers who are staying in one of the many hotels in the CBD or the harbour area can easily walk to these attractions. This bridge spans the harbour between the Central Business District and the city’s North Shore district. Pedestrian walkways across the bridge can be accessed from either one of these locations. The walkways run along both sides of the bridge. Visitors can enter the eastern walkway on the south side of the bridge from Cumberland Street in The Rocks area where some of the best restaurants Sydney offers are available to eat. The eastern walkway goes to the Milsons Point railway station in the North Shore area. The western walkway can be accessed from Observatory Hill in the south. It terminates near Milsons Point on the northern end of the bridge. The pedestrian walkways are fenced with wire and steel. Pedestrians on the bridge can take their time and admire views of the harbour and the city while they walk. These gardens are about a mile from the southern end of the Sydney Harbour Bridge. They cover 74 acres on the shore of Sydney Harbour. A wide variety of plants are displayed in the themed gardens here. Gardens include the Begonia Garden, the Herb Garden, the HSBC Oriental Garden, the Palm Grove, the Sydney Fernery and the Palace Rose Garden. The rose garden has approximately 1,800 roses. Standard, bush and weeping roses are on display here. Native Australian plants including Gymea lilies, paper daisies and kangaroo paws are displayed in the Australian Native Rockery. Visitors who take a stroll through the Rainforest Walk will be able to see plants native to the world’s rainforests. Rare plants from different parts of the world are growing in the Rare and Threatened Plants Garden. Orchids and jade plants are two species of tropical plants in the Sydney Tropical Centre. 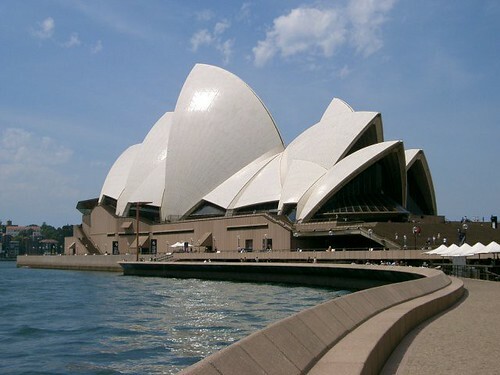 The gallery is less than half a mile from the Royal Botanic Gardens. The collections here display art from all over the world. There are nearly 11,000 pieces of Australian art from the 19th and 20th centuries. Paintings, photographs, prints, drawings and sculptures are part of the Australian collection. Some of the works in the collection of Aboriginal and Torres Strait Islander art depict ceremonies that were performed hundreds of years ago. Bark paintings and weavings are some of the items displayed in this collection. Painters whose work is in the museum’s Western collection include Rubens, Van Gogh, Picasso and Monet. One sculpture in this collection is believed to date from the late 15th century. The museum has collections of Asian art and Pacific art.